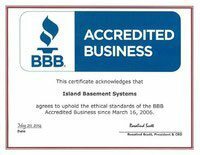 This certificate acknowledges that Island Basement Systems agrees to uphold the ethical standards of the BBB. 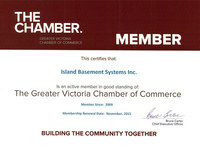 Island Basement Systems is an active member in good standing with The Greater Victoria Chamber of Commerce. They have been a member since 2009. 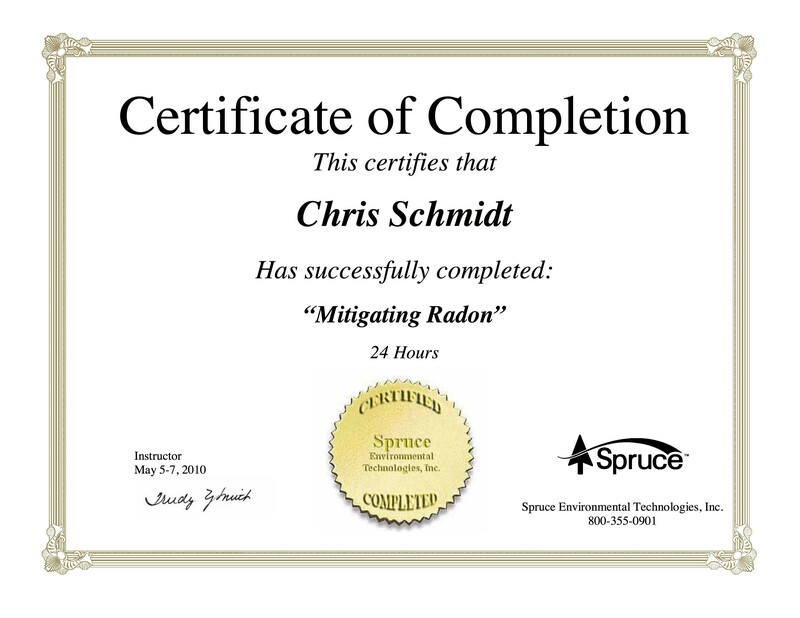 This certificate acknowledges Chris Schmidt is a Building Professionals Quality Institute Inc (BPQI) Certified Polyurethane Foam Sprayer effective June 2012 to June 2017. 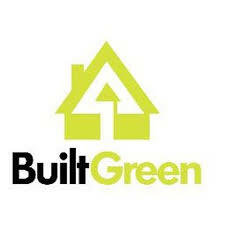 Island Basement Systems is a Supplier Member in good standing with Built Green Canada for the year of 2013. 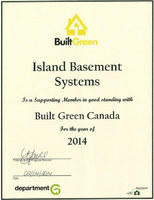 Island Basement Systems is a Supporting Member in good standing with Built Green Canada for the year of 2014. 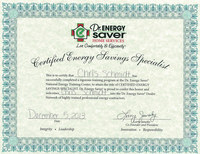 This is to certify that Chris Schmidt has successfully completed a rigorous training program at the Dr. Energy Saver National Energy Training Center, to attain the title of CERTIFIED ENERGY SAVINGS SPECIALIST. 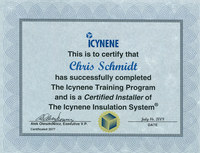 This is to certify that Chris Schmidt has successfully completed The Icynene Training Program and is a Certified Installer of The Icynene Insulation System. 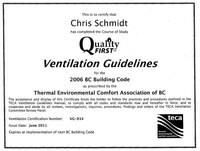 This certifies that Chris Schmidt has completed the course of study Quality First Ventilation Guidelines for the 2006 BC Building Code as prescribed by the Thermal Environmental Comfort Association of BC. Training to measure levels of radon in a home.